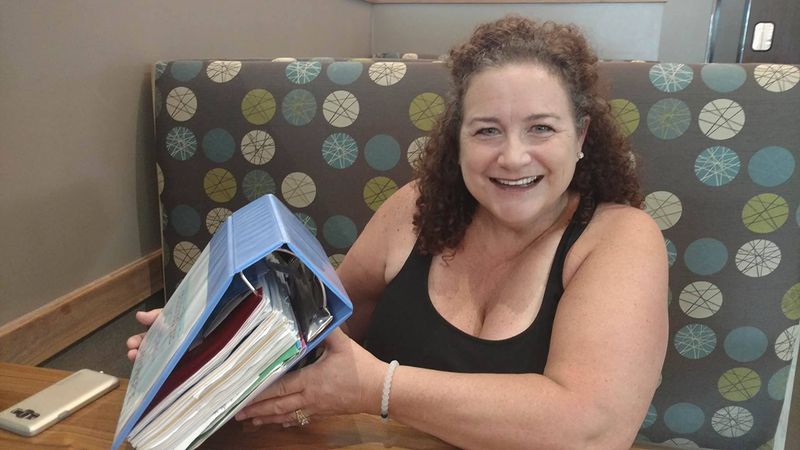 In making her first phone call to Canvas Health, Katy Steigauf, a nurse, finally decided to give herself the same care and attention she’d always given to her patients. Katy Steigauf sits down at the café and orders a carafe of coffee. She’s a night nurse, and caffeine provides that little extra fuel to help her keep going. As recently as last year, she thought alcohol served a similarly useful function. It helped her blow off steam after a long day at work. It had helped her numb the pain of her dad’s cancer and his death, as well as the everyday stress of raising three kids. And besides, drinking helped her connect with people. “Alcohol was great for coping with every emotion, whether I was happy, sad, or mad. I could make a justification out of everything,” says Steigauf. Things came to a head last October. “Oct. 4 was a Tuesday, so you know, it was Taco Tuesday. And not only was it Taco Tuesday, it was also National Taco Day, so of course, I was drinking,” shrugs Steigauf and laughs. On the second day, however, she made the call to Minnesota’s Health Professional Service Program (HPSP). The HPSP, a nursing governance body, mandated 300 hours of intensive chemical health treatment for Steigauf before she could potentially come back to work. Steigauf decided that this was it—she would commit herself to quit drinking. She chose Canvas Health because of its proximity to home and its track record of helping people get sober. For nearly 50 years, Canvas Health has provided services to people struggling with substance use, mental illness, crisis, unstable housing, and trauma. Steigauf began having one-on-one sessions with Bob Jones, her Canvas Health counselor, in addition to group meetings. Canvas Health uses a cognitive behavioral approach to treating substance use disorders, asking clients to replace the unhealthy thinking that underlies the drinking with healthier thoughts. As a nurse, Steigauf had written meticulous notes on her patients, and she approached the work of her sobriety with the same thoroughness. Her daughter Abby had been reluctant to attend a family therapy meeting—but she wound up attending all five. “We have a closer bond now,” says Abby. Steigauf completed treatment successfully in March, but she still checks in with Jones and attends two support meetings a week. She’s back at work and doing well. You could say that Steigauf’s life has gone back to normal, but that’s not true—her life is better than before, and it goes deeper than simply not drinking. Through and through, Steigauf feels healed. To schedule an appointment with a Chemical Health counselor at Canvas Health, or to make a referral, please contact us at 651-777-52222.